Inclusive of breakfast for 2 persons. *Rate is not inclusive of 6% SST. 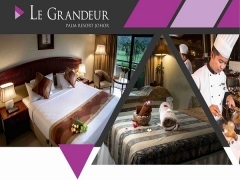 Book directly at www.palmresort.com or check out Le Grandeur Palm Resort to see all deals up for grab!